The Sequoia Grove, Bereavement Ministry of OLN helps those who suffer the loss of a loved one. We visit and bring Eucharist to the home-bound and hospitals, nursing homes and assisted living facilities. We give prayer shawls to those who are bereaved, hospitalized or having serious health issues. Please consider making prayer shawls for the bereaved, sick and hospitalized. Join the group that helps those who are caregivers. We pick up those in our area that have transportaion or medical needs and bring them to the weekend masses. We are always looking for help to drive the OLN van. No special driver’s license category necessary. The Health Ministry is always looking for new members to help plan events such as monthly Senior lunches and yearly Health Fairs. 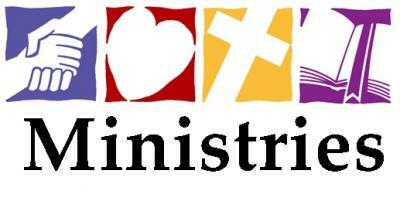 We help with the summer faith camp and do health fairs for elementary and middle school faith formation. We meet monthly on the first Tues evening from 7-8:30 in the conference room. We need those with medical skills to take blood pressures once amonth after one mass for 30-40 minutes. We really need volunteers to keep this very important service going. A hospitality group that prepares and delivers meals to new moms, parishioners recovering from a hospital stay, and the homebound along with making and delivering Easter Breads on Holy Saturday. Assist Fr. Joe with the Liturgical needs for funerals. This includes set up/clean up, organizing. Help provide and support the family through reception food, set up and clean up the food preparation area, and support the family members who come to the funeral.